Asia Herb Association is a massage chain which deals with massage, spa and they manufacture their own spa products. All products of their pride are 100% handmade and organic. 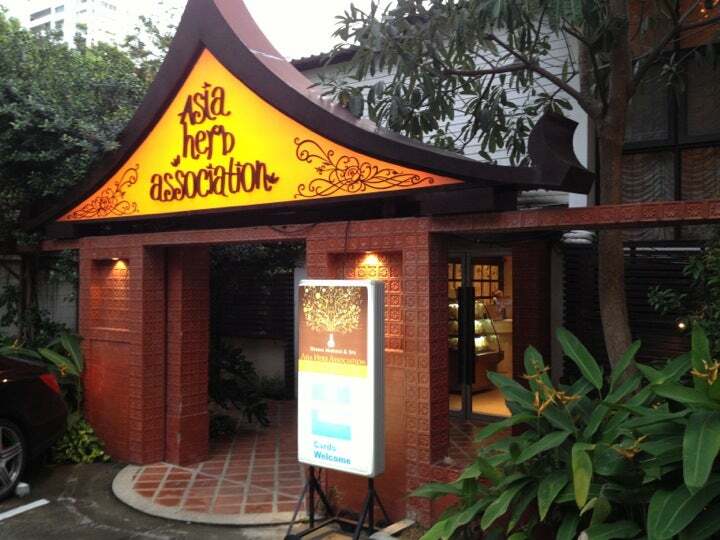 First time I came to a small nice shop called Asia Herb Association was 2005. The Company has grown, shops now are three, big and nice maybe even posh, but the massage is still the old original great one. Great value for money. I keep on coming anytime I am back to Bangkok. Take the two hours Thai original massage and remember.. there is no gain without pain! After you will feel new. The Thai Massage here was superb, really good and authentic skill here! I did their oil massage previously, and in conclusion, I prefer their thai style better! Try ask for no. 696, she is real good!